When picking the four scents for my ‘Movember Masculines’ series at Escentual, I knew that I simply had to include something from Yves Saint Laurent. This house, which is a shadow of its former glory for sure, is responsible for three of the most exceptional masculine fragrances out there – Kouros, M7 and Rive Gauche Pour Homme – and when it came to choosing the most iconic of this impressive bunch, Monsieur Kouros was difficult to ignore. So this week I’ve taken a look at one of the most distinct, unique and divisive masculine scents one can buy. To add to that, Kouros is also one of the most unashamedly manly, conjuring up images of overly-tanned and smooth-chested lotharios who are as exuberant as they are audacious. Kouros is the king of the ’80s, and whilst he may seem a little bit dated now, he still reigns supreme. Image via Escentual. I write for Escentual as their Fragrance Expert/Blogger. 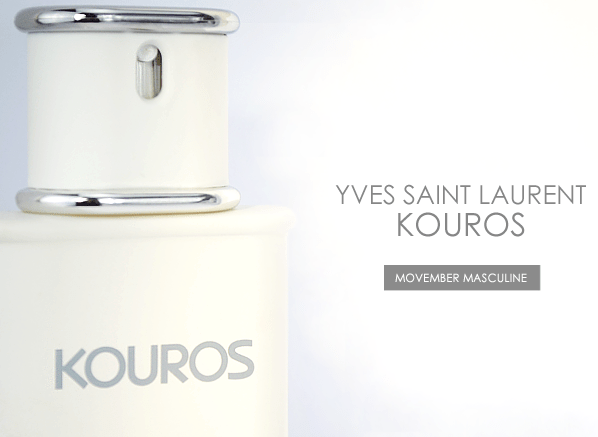 Posted in Escentual, Masculine, Movember, Perfume Reviews, Yves Saint Laurent and tagged Escentual, Fragrance, Fragrances, Kouros, Masculine, Yves Saint Laurent. Bookmark the permalink.